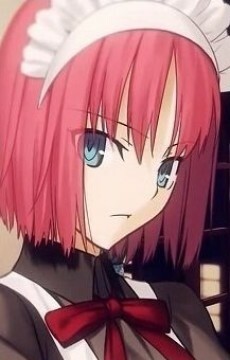 The younger of the two twin maids in the Tohno mansion, Hisui is a childhood friend of Shiki. She wears a western maid uniform and attends to Shiki when he comes back to the Tohno mansion. Her name, Hisui, is the Japanese word for jade, referring to her eye color. She acts cold and unfeeling, but it is only an act to hide her kinder nature for the sake of her sister. She is a Synchronizer, a person that can give someone life energy through the exchange of body fluids.